Please join us for the Raleigh Chamber’s Business After Hours networking event in the Pope Foyer beginning at 5:30 pm. Make new connections, strengthen existing relationships, and find ways to grow your business after work. Business After Hours allows you to meet business contacts in an informal atmosphere. We anticipate 150 people will be at this event! It’s free for employees of member firms. 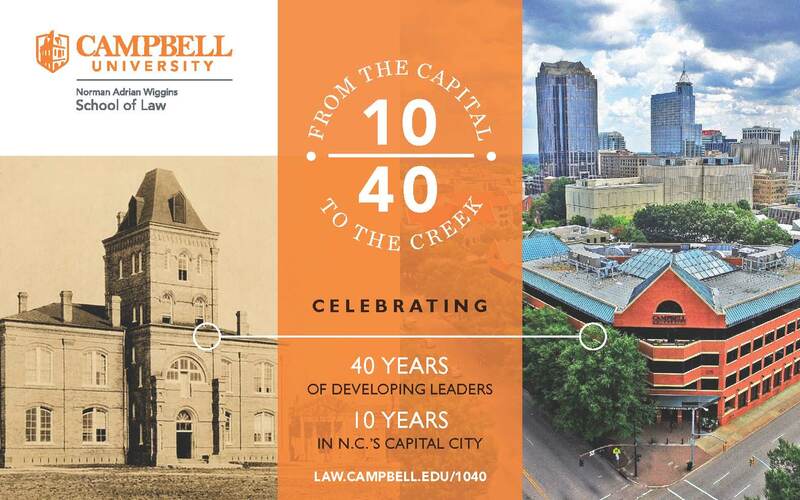 You also will get to learn more about Campbell Law School. It is a unique community of diverse individuals brought together by a singular purpose – to use the practice of law in order to create a more just and merciful society. Campbell’s School of Law is dedicated to creating compassionate lawyers who are fully prepared for the challenges of the real world. Don’t miss this opportunity to meet other Chamber members while you learn more about Campbell Law.